The Reverend Dr. Timothy West accepted the Lord as his Savior at a young age. He was called to preach in 1982 under the pastorate of the late Rev. Edwin Williams at Grace United Methodist Church. His pastoral journey began July 1992, when he was appointed to serve as the senior pastor of John Wesley United Methodist Church in Glen Burnie, Maryland. Under his leadership, the ministry expanded spiritually and numerically. Through creative preaching and teaching the word of God, the ministry expanded to multiple worship services each week. He led the congregation in building an extension to their existing facility by adding a Fellowship Hall, Commercial Kitchen, Spacious Restrooms, Administrative Offices and renovated the basement to provide classrooms and meeting space. 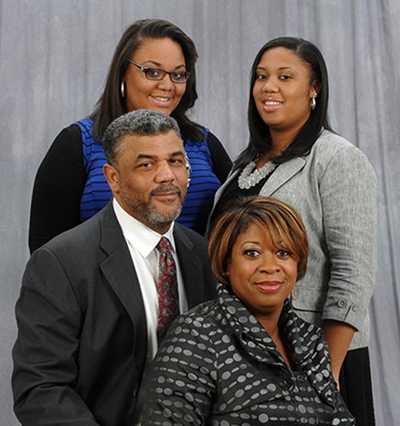 On July 1, 1998, Pastor West was appointed to serve as the Senior Pastor of Westphalia United Methodist Church in Upper Marlboro, Maryland where he continues to proudly serve. Pastor West has lead Westphalia through Phase I of a successful building project consisting of a 600 seat sanctuary with a state of the art sound system, Fellowship Hall and a Commercial Kitchen. By engaging preaching topics with life applications with occasional humor and creativity in worship, the membership has increased yearly which prompted Westphalia to offer two worship services each Sunday. In addition to his role as senior pastor, he is a mentor for the Practice in Ministry and Mission Program at Wesley Theological Seminary, a member of the Episcopal Committee for the Bishop, and a Senior Mentor for candidates entering ordained ministry. He also served as a lecturer and teacher for the School of Christian Growth, and as a Worship Team member for the Baltimore Washington Annual Conference. Pastor West is a 1987 graduate of University of the District of Columbia earning a Bachelor of Arts Degree in Psychology. He was awarded a Masters of Divinity Degree from Wesley Theological Seminary in Washington, DC in 1992. In 2007 Reverend West received a Doctor of Divinity degree from Wesley Theological Seminary with a concentration in Leadership Excellence. In 2012, Reverend Dr. Timothy West received the Harry S. Denman Award for Excellence in Evangelism. With his many roles and responsibilities, his role as a family man is his greatest joy. He and his wife Stephanie are the proud parents of Ashley NiAnna and Alexandra Nicole.